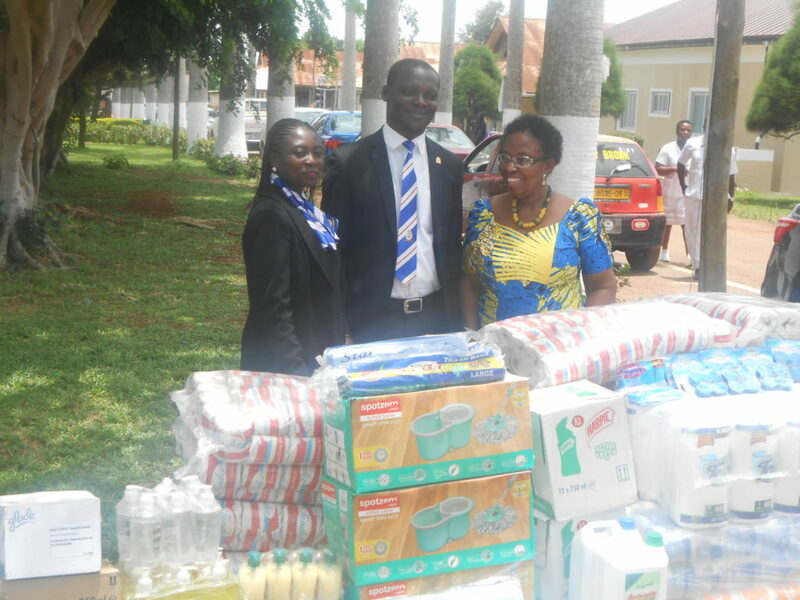 The Jackson Educational Complex located at KNUST, Kumasi, led by the Principal of the College, Mrs. Thoedosia W. Jackson, on Monday, April 08, 2019, donated some items to Presbyterian Hospital, Agogo. 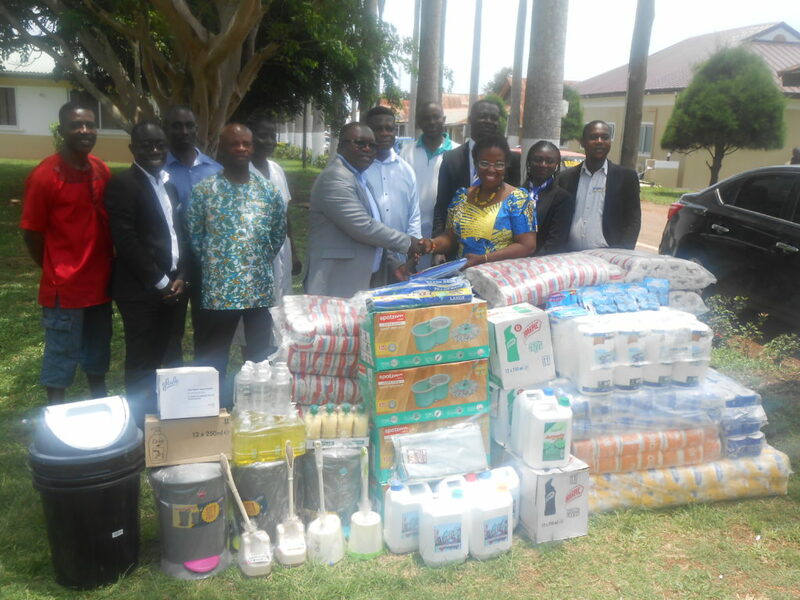 The items worth three thousand five hundred Ghana Cedis (GH¢3,500.00) mainly consisted of toiletries, air fresheners, liquid soaps and disinfectants, Trash Containers and Calendars. She also inspected two (2) toilets at the Theatre which she refurbished at a cost GH¢5,848.00. Mrs. Jackson also promised to provide additional funds to complete the works. 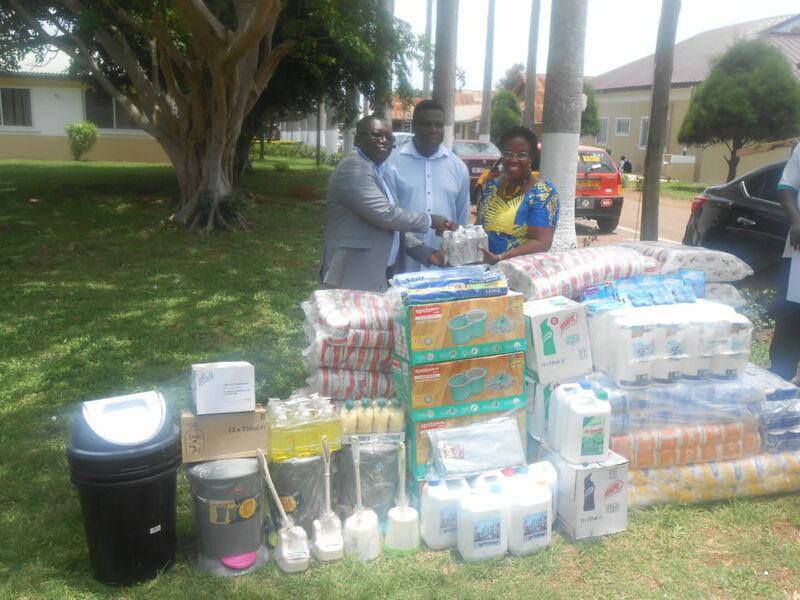 The General Manager, on behalf of Management and staff of the Hospital expressed his profound gratitude to the Principal of the College and assured her that the items would be used for the care of the teeming patients. The General Manager asked the lord to continue to richly bless her for the numerous philanthropic gesture to humanity and to the glory of the lord.